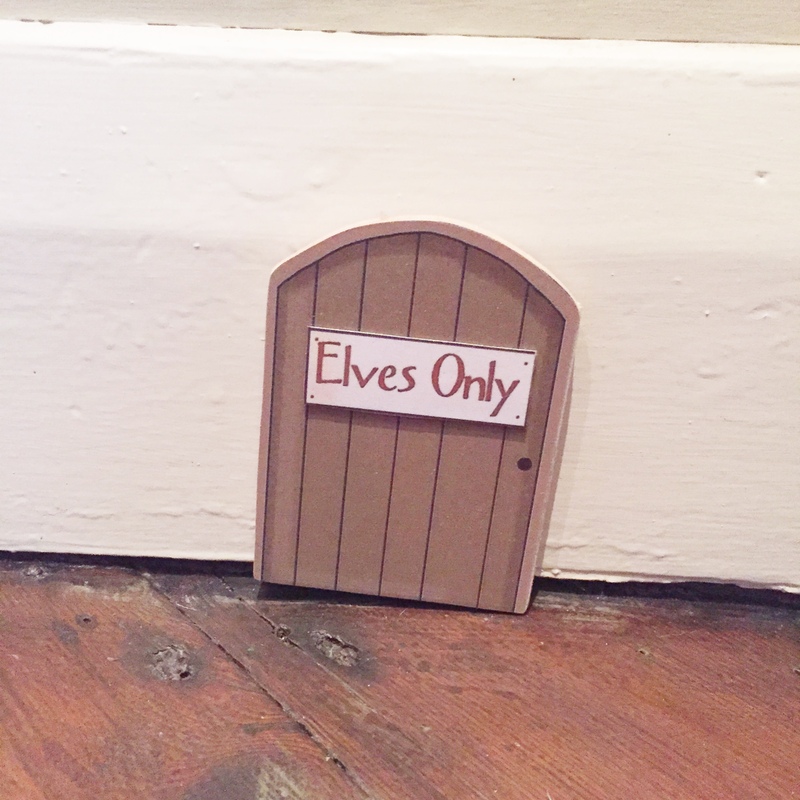 (Yep..we got one of those too now stuck on our skirting board!) to report back on the children’s behaviour, before returning and reappearing somewhere else the next day.. He may be little (and plastic) but we’re hoping he’s going to be greater than the sum of his parts…watch this space..
Love it! Happy little Elf or is it Barbie!? 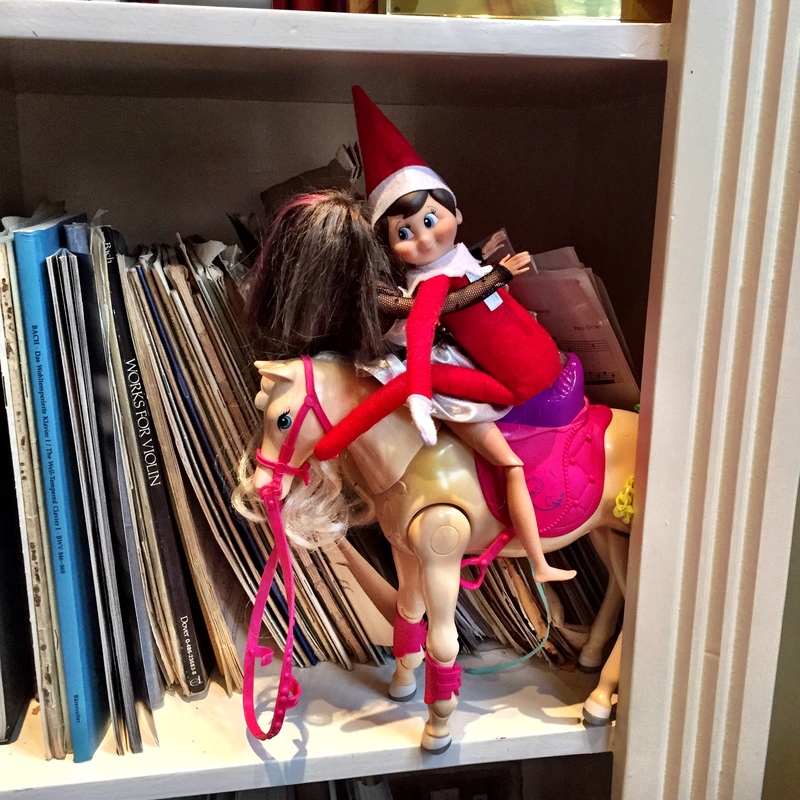 The elf and Barbie (and my little pony) should’ve known that those pictures would get onto the internet and ruin their reputations! 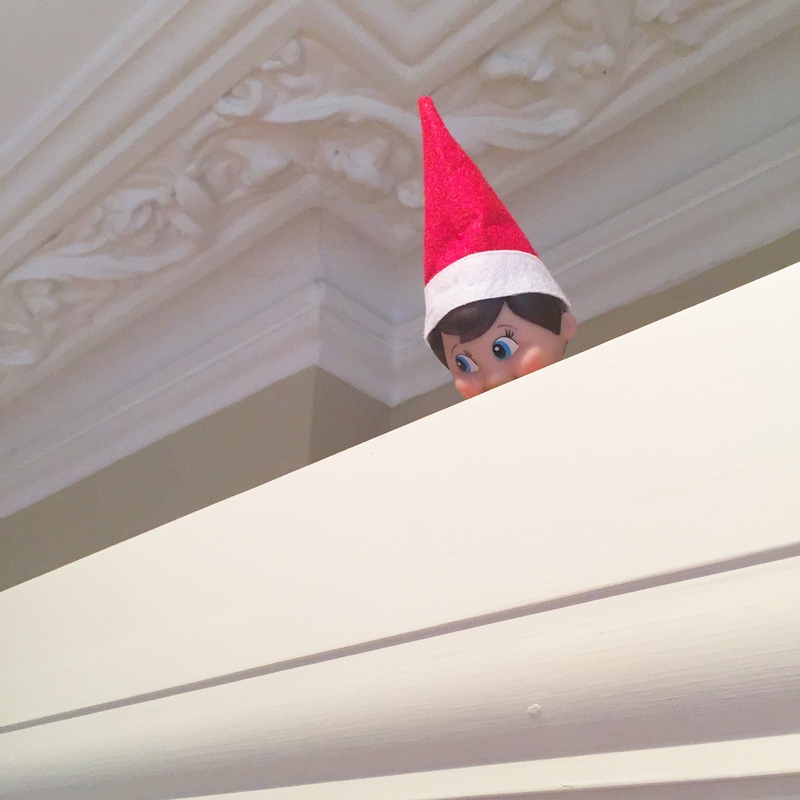 Elf on a Shelf is all the rage here. Most of the parents I know do a thing that if the kids touch the elf he loses his magic and doesn’t move. That’s probably easy to police with the younger kids since it would likely be obvious that they touched it, but perhaps not so much with older kids who could be a bit more sneaky.